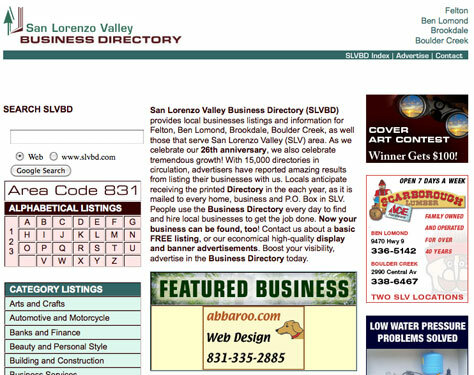 Added a SQL database to the SLV Business Directory in 2008. This database allowed the client to store the business directory on-line which allowed the site reflect the contents of the database dynamically. This made it much easier for the client to maintain this growing directory, as well as including business advertisements on the site. An admin section was created to allow maintenance of the database in a user-friendly manner.